It’s time for another Teacher Tuesday! 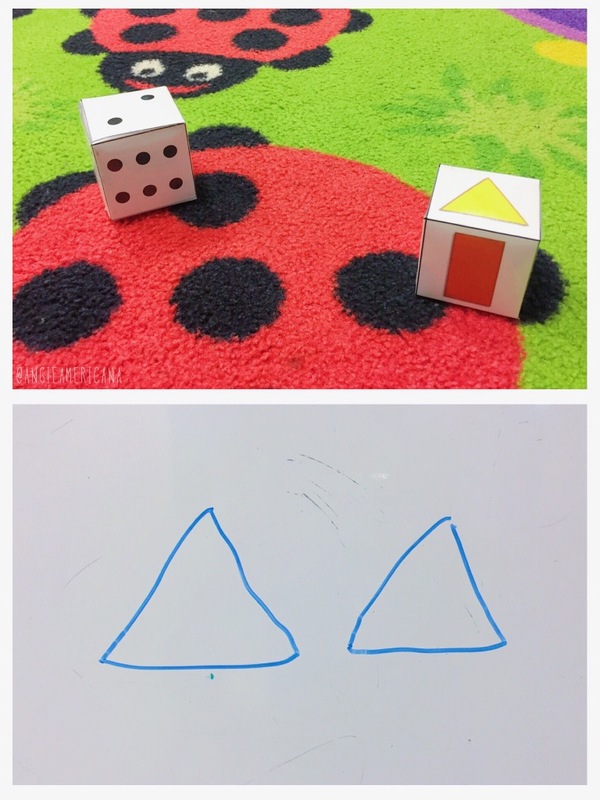 Today I’d like to share a simple learning activity that combines math and fine motor skills. This quick task is not only wonderful to incorporate into counting and shape units, but it’s also great to have handy when you find yourself with some spare time or particularly antsy students. 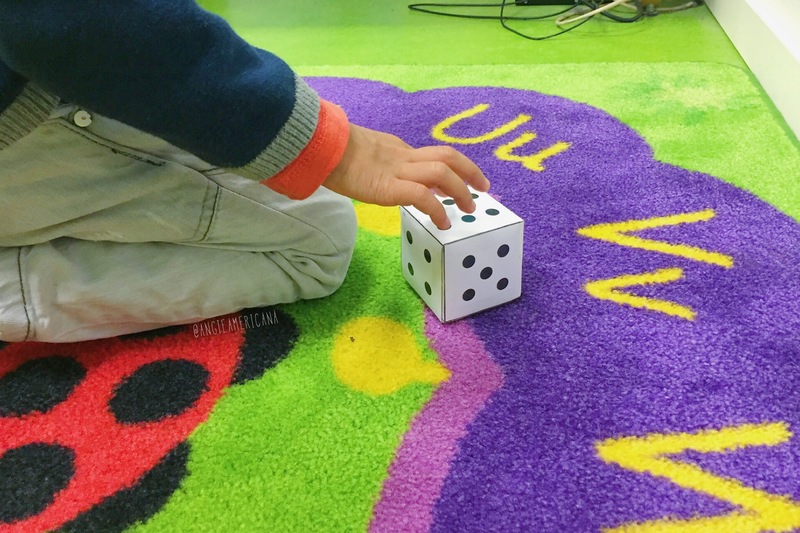 Using dice with dots instead of numbers is helpful for younger students who are beginning to count independently and may not be able to recognize written numbers yet. 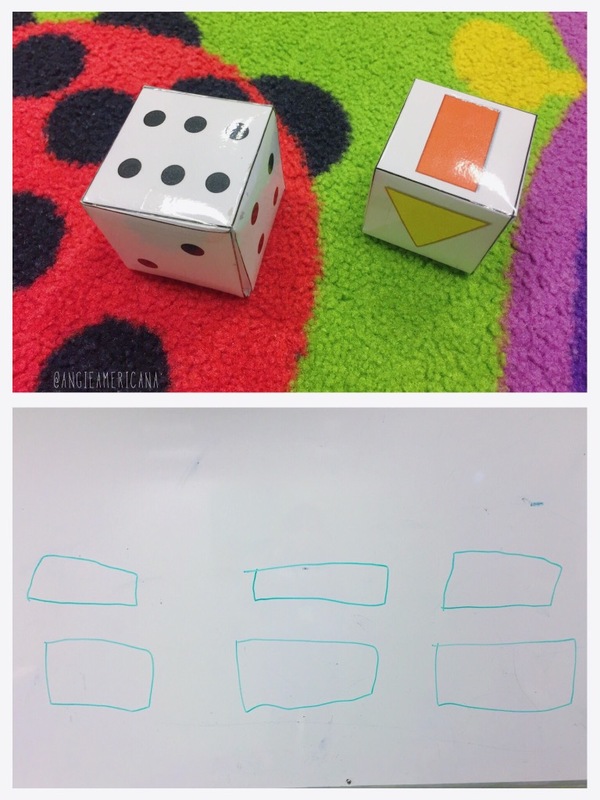 All you need for this activity are two 6-sided dice: one with number dots and one with different shapes. Last year, I printed out two dice that I found on Pinterest. I wish I still had the links for them to share with you, but unfortunately, I have no idea where I found them. 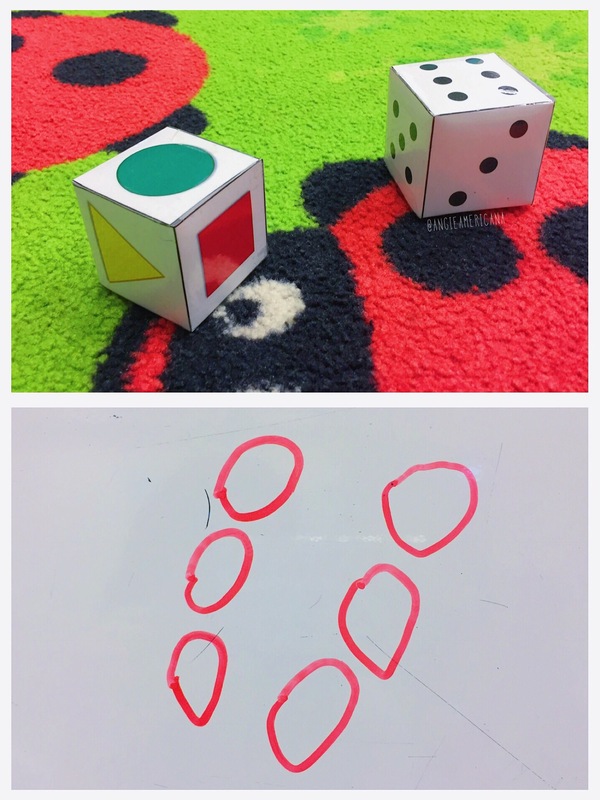 Number dots are also helpful for more capable counters who are working on basic grouping and identifying small quantities quickly. So how does this activity work? The student rolls both dice. 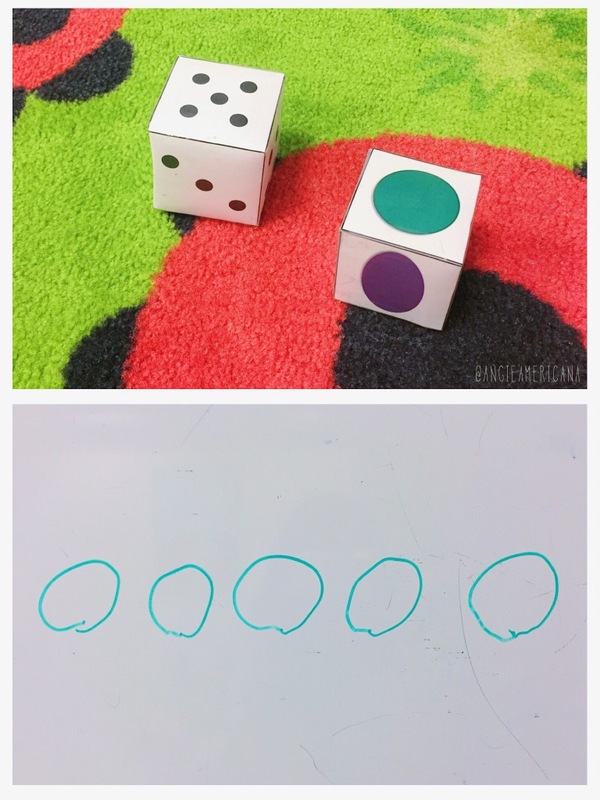 He/she identifies the shape on the first die and then counts the number of dots on the other. 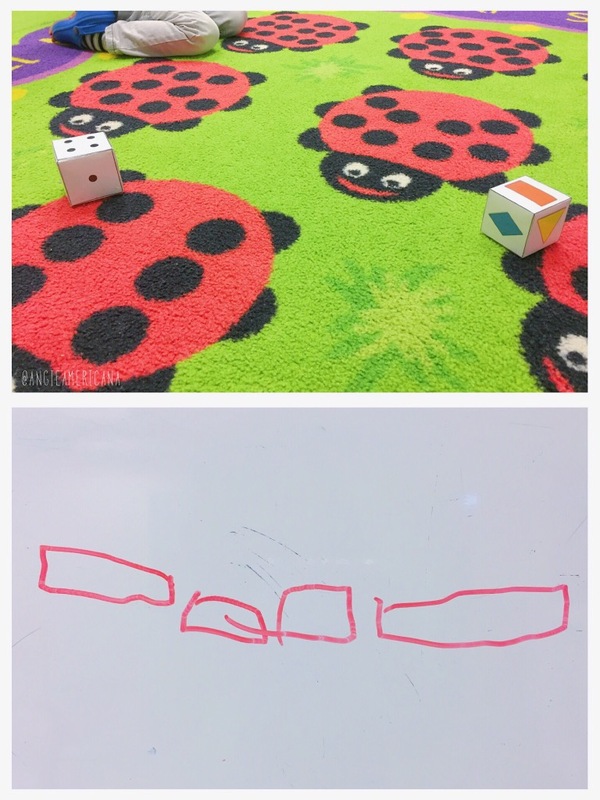 The student then draws the corresponding number of shapes on the whiteboard. I love this activity because it doesn’t take a lot of preparation and it keeps my students occupied forever. They just can’t get enough of rolling the dice because something different comes up every time! And they especially like being able to write on the whiteboard just like the teachers. Here’s a few examples some of my students’ completed work from when we did the activity last week! This student took his time and drew the circles to mimic the dots on the die. This student pointed out that ‘rectangles don’t have to all be exactly the same’. This student wanted to make his 2 triangles next to each other like ‘Halloween pumpkin eyes’. This student tried really hard to make her circles the same size. You can’t tell from the photo, but this student filled the ENTIRE whiteboard with her rectangles. This very basic exercise is definitely one I keep handy at all times. 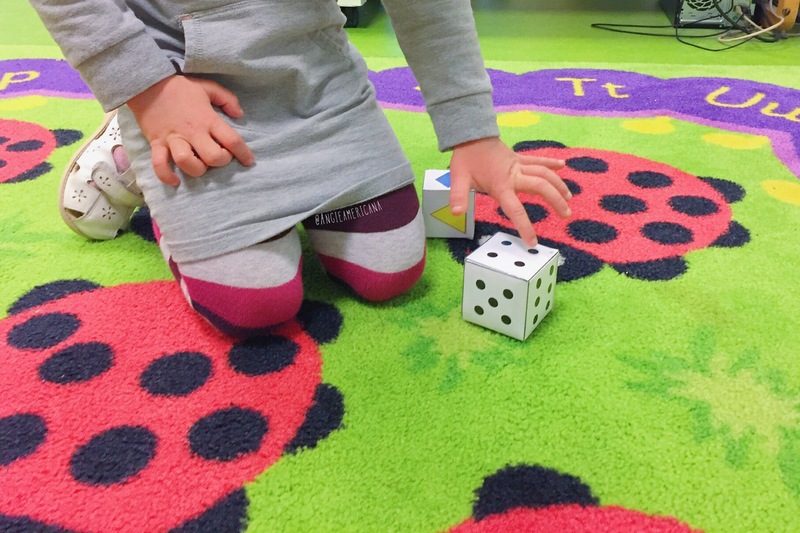 It’s engaging for the students, and it helps them develop 3 important skills: independent counting, shape recognition, and writing. Helpful hint: I found out the hard that this is not an ideal activity to perform in a large group. It can become time consuming and little ones tend to lose focus very quickly. This activity works best with pairs or groups of three. That’s all for this edition of Teacher Tuesday! I hope you enjoyed taking a quick peak into my pre-k classroom. I’m going to do my best to make this an actual weekly series by posting every Tuesday from now on.